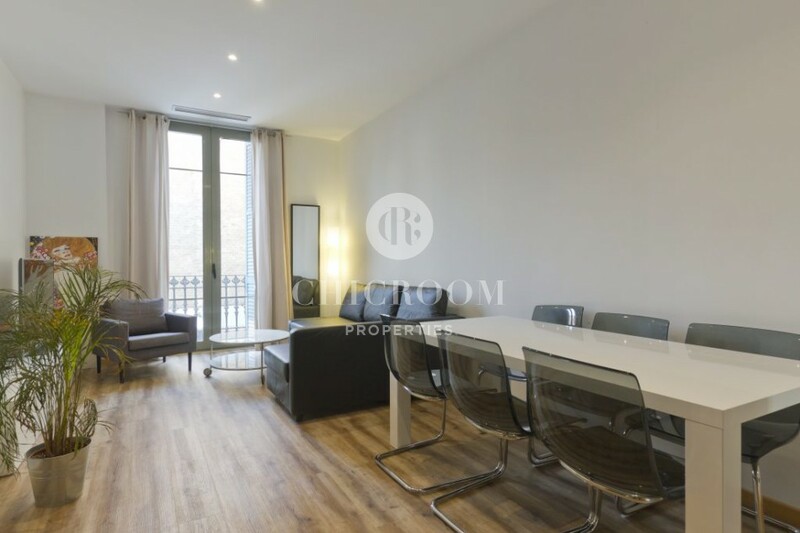 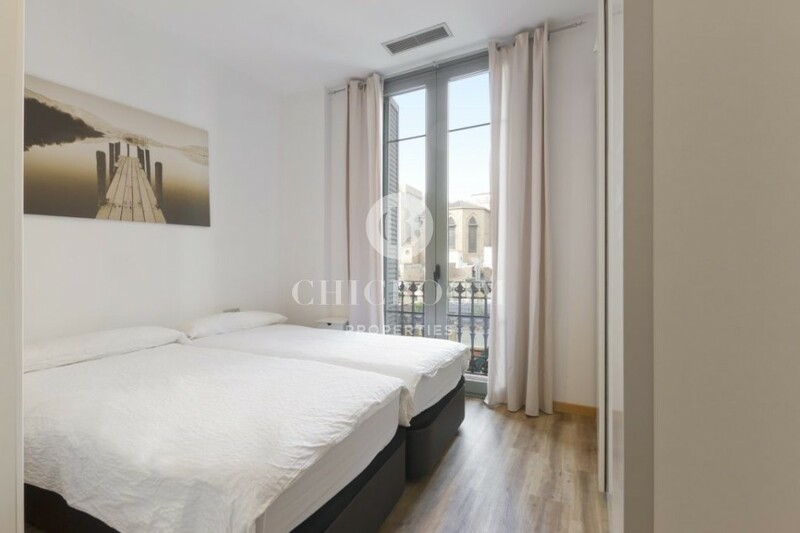 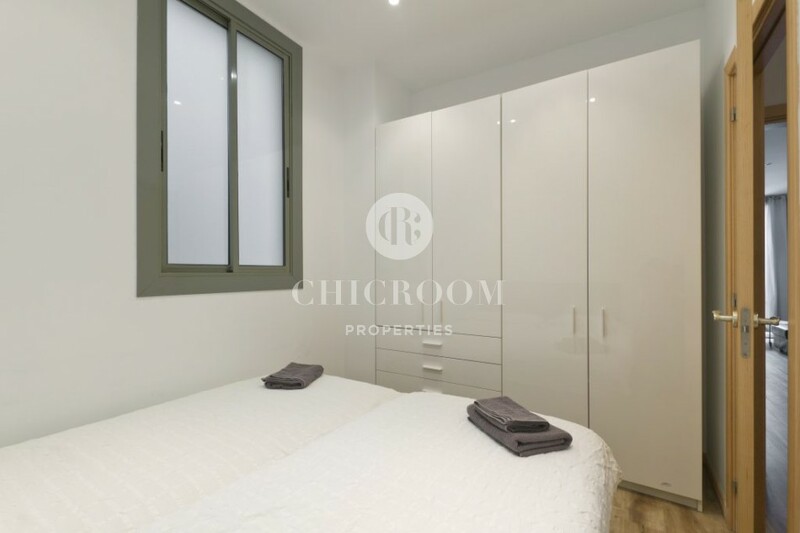 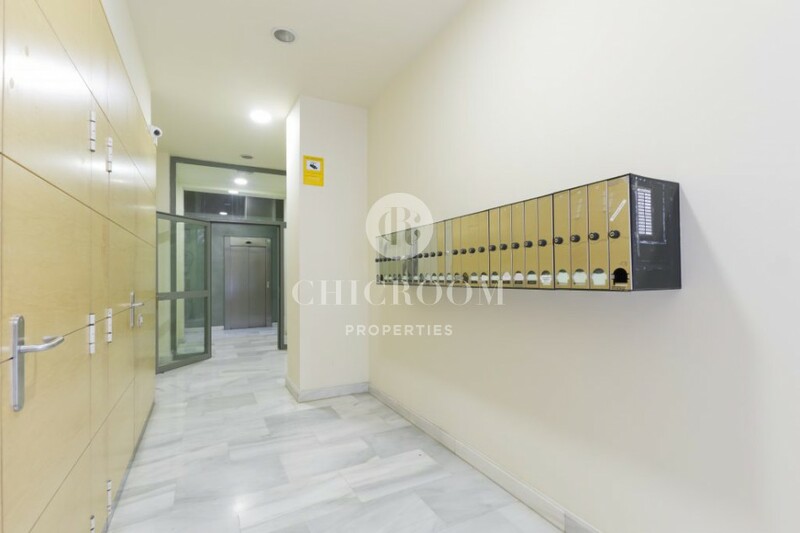 ChicRoom Properties offers you this 2 bedroom apartment for sale in Eixample with tourist licence in excellent conditions and located in a stylish renovated Art Nouveau building. 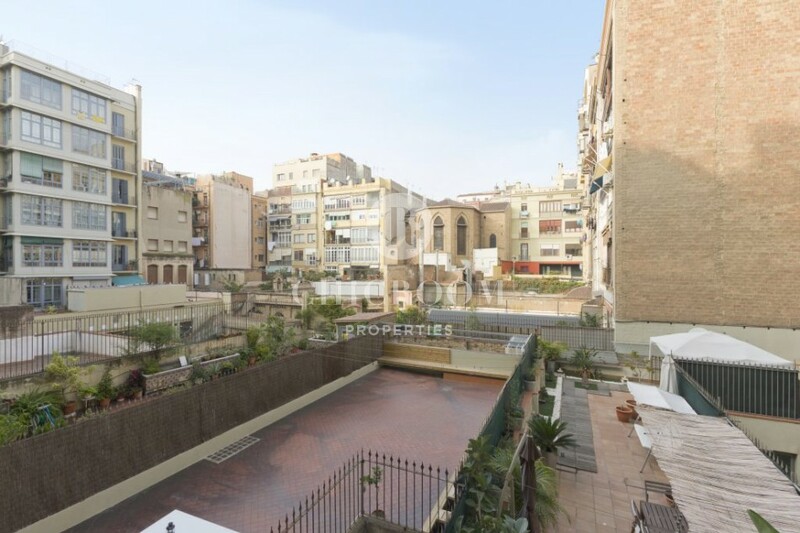 Located on the second floor, the 65 m2 property has plenty of natural light and a view to a typical interior patio in the Eixample style. 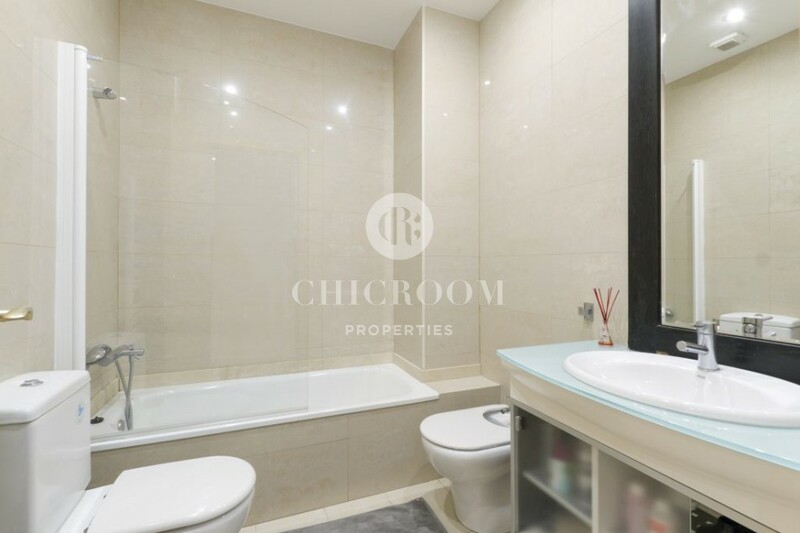 This property has been renovated and decorated with exquisite taste and care to create a genuine homey feeling. 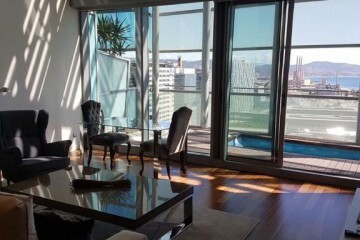 There is a spacious and sunny living room connected to the large dining room, which maximizes the feeling of space and comfort. 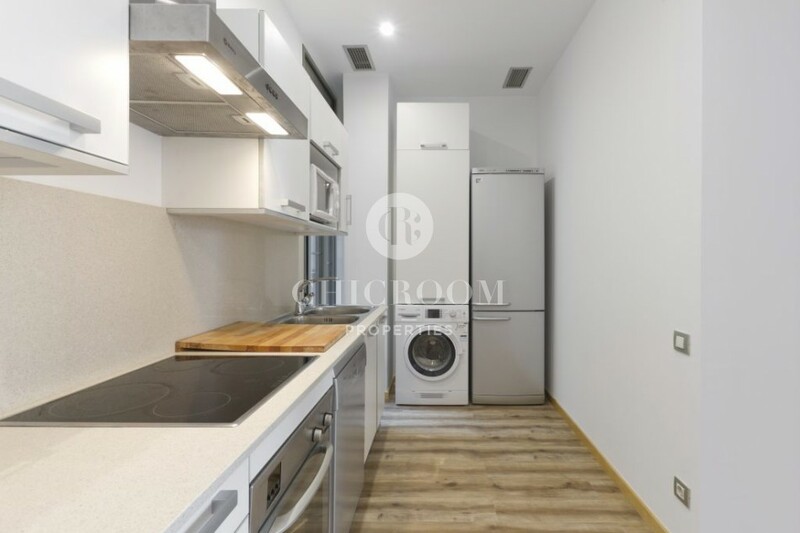 The property comes with a fully equipped kitchen with all the necessary electrical appliances such as a washing machine, an oven, a fridge, a glass-ceramic hob and a microwave oven as well as a high-speed Internet connection. 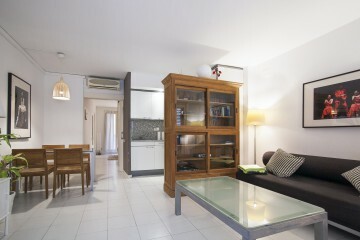 The apartment itself is very bright and it has two double bedrooms and one bathroom. 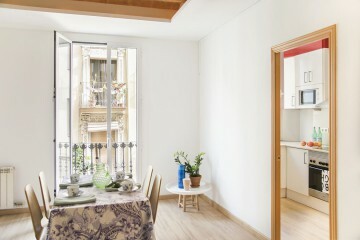 This makes it the ideal dwelling for a family who decides to settle down in the Catalan capital. 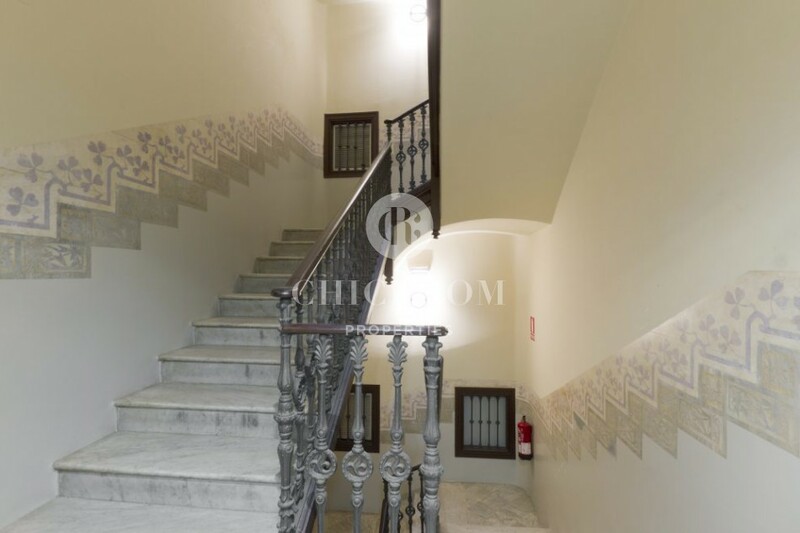 It also comes with parquet floors, air conditioning throughout the house by pipes. 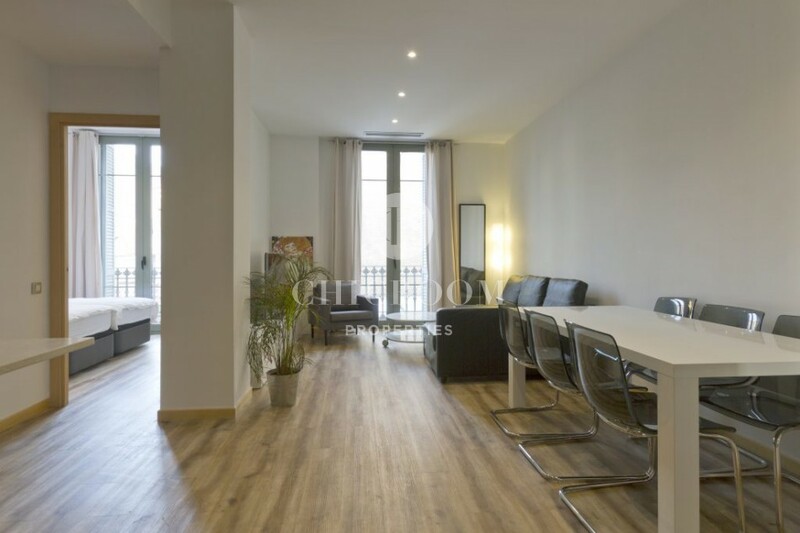 The apartment is ideally located being near Passeig San Joan, El Born and Passeig de Gràcia. 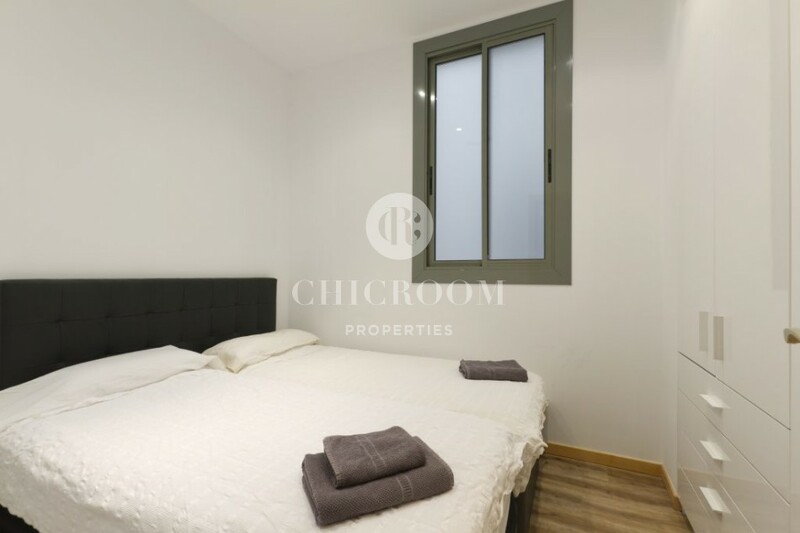 The area is very convenient for your everyday life as it is surrounded by various shops and services. 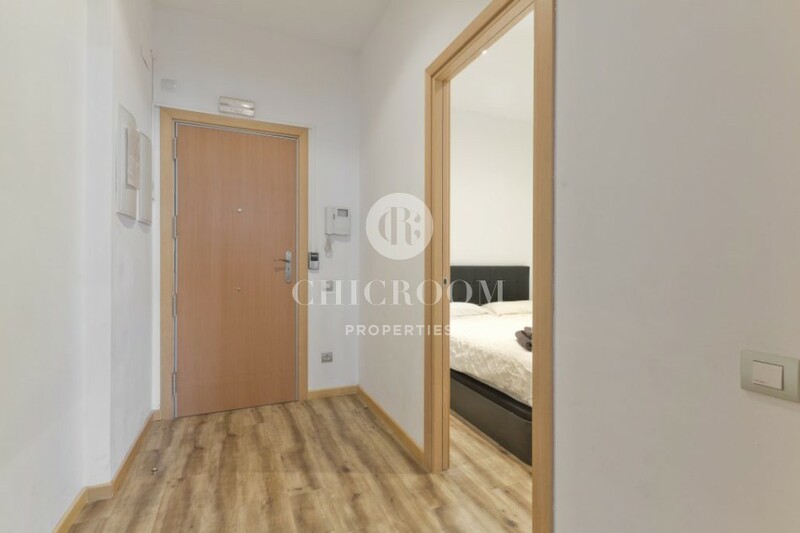 With this property, you would be living like a local! 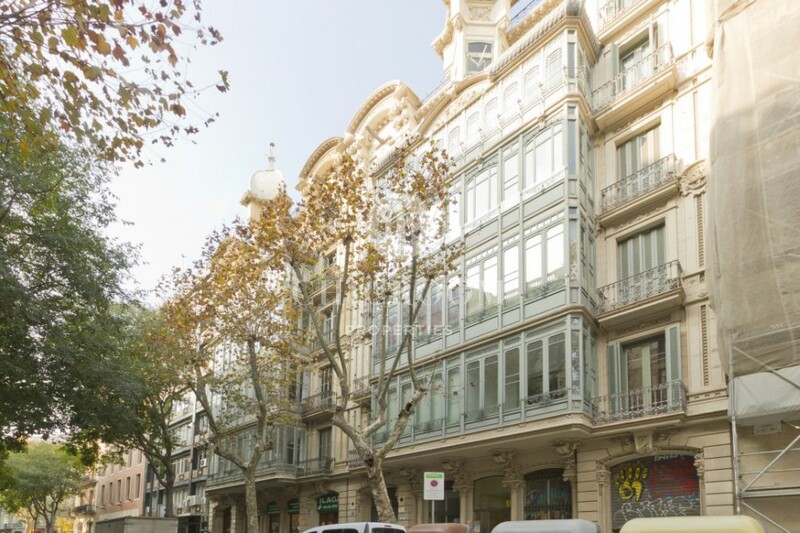 There is also an excellent network of public transport with numerous buses driving past and metro stations that will make the exploration of Barcelona as well as its surroundings more enjoyable. 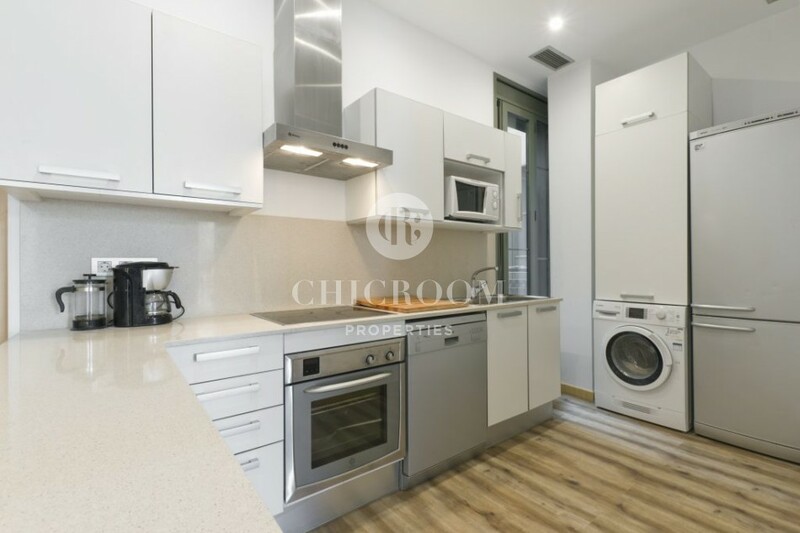 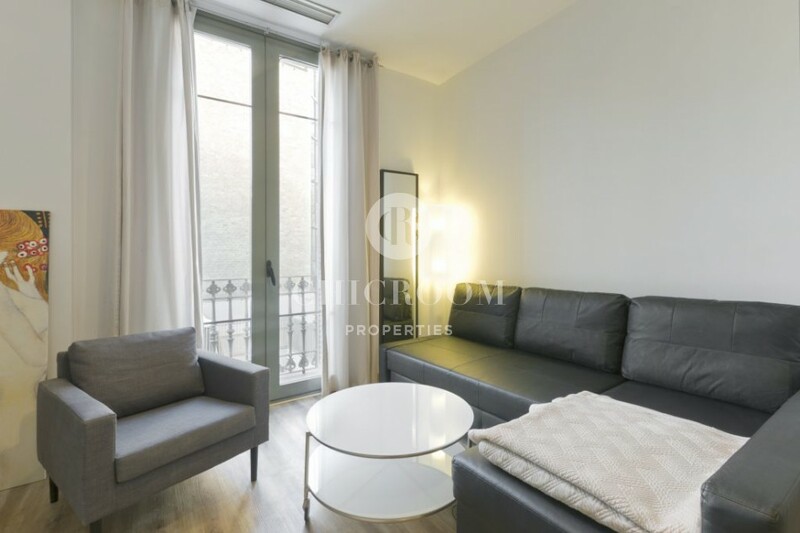 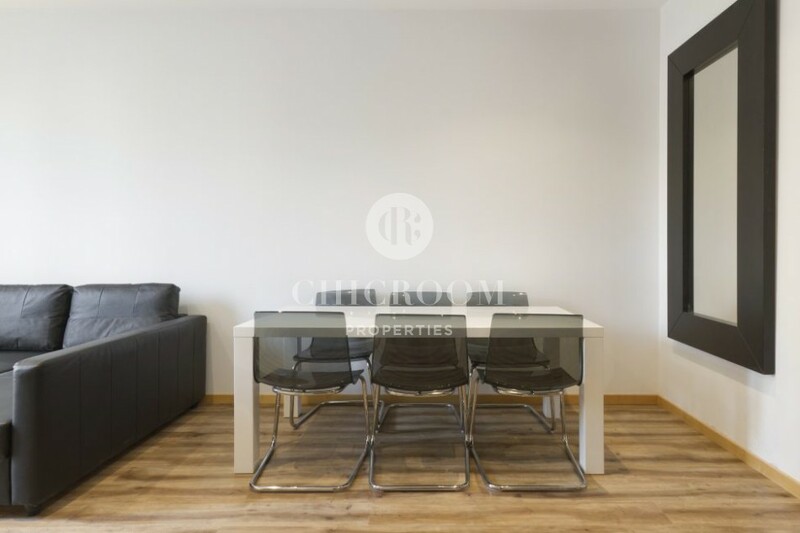 This 2 bedroom apartment for sale in Eixample with tourist licence is the ideal accommodation that anyone willing to embrace the Catalan capital’s charm needs to settle in; therefore do not hesitate to contact us for more information or to organize a visit.